Dr James L. Smith is visiting research fellow at the Trinity College Dublin Long Room Hub. He received his PhD in History at the University of Western Australia in 2013, and has been research associate at the University of York Centre for Medieval Studies from 2015. His first monograph, entitled Water in Medieval Intellectual Culture: Case-Studies from Twelfth-Century Monasticism, will be forthcoming in 2017 in the Brepols Cursor Mundi series. James is the editor of The Passenger: Medieval Texts and Transits, forthcoming in 2017 from punctum books, and co-editor of a themed collection of the Open Library of the Humanities on 'New Approaches to Medieval Water Studies'. 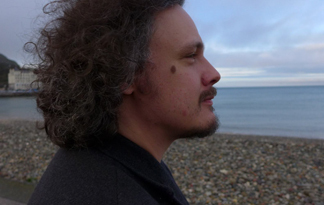 James focuses on intellectual history, medieval abstractions and visualization schemata, environmental humanities, and water history. He has written on these themes and those of new materialism, the history of the senses, medieval maps and diagrams, medievalisms, and water management in the journals Altre Modernità (Other Modernities), Radical History Review, European Review of History, Limina, Parergon, Studies in Medievalism, Postmedieval, and Asia-Pacific Viewpoint. He is currently shaping a project at the Long Room Hub entitled 'Conduits of Faith: Deep Mapping Medieval Spiritual Interactions with Water'. This research will map spiritually significant medieval hydro-social arrangements through layered interactions with bodies of water, including the pre-modern cities, monasteries and cultic sites associated with these crucial socio-natural zones, drawing on folklore, Christian spiritual narrative, and a variety of bioregional and historical material. The result will be a digital mapping environment for research, public engagement, and cultural heritage uses.